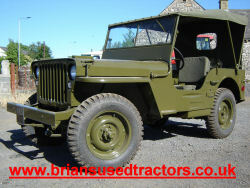 Brian's Used Tractors | Used Tractors | tractors for sale - About us ! Brian's Used Tractors is a company small enough to care but big enough to cope, Brian Huck aided by his family run this lively business from their industrial site situated at Ingleton in the Yorkshire Dales in the North of England. Using a small but enthusiastic labour force tractors and equipment are bought, repaired and sold from our site. We reguarly load containers and trucks for export all over the world. We can arrange and load to any point in the U.K. or the world. Business is regularly done on all Five Continents, Brian has reluctantly had to move into the 21st century by initiating this website, the fact that we have been operating off the same premises for over 60 years and have for four generations means a lot to our family. The founder of our business Bill Huck built this business in the 1940's and started by dismantling cars and dealing in car parts but soon progressed to exporting cars and Truck parts. Brian Huck has progressed through the years and now Deals in Agricultural and Industrial Machinery, we have friends and contacts throughout the world, this we believe is due to our integrity and the fact that we are willing to go the extra " mile " to help our customers out Backed up by 70 years of Business and experience.